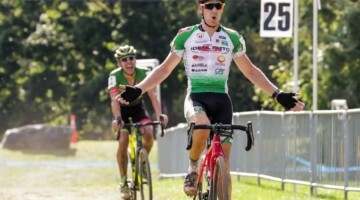 Washington, DC —Arley Kemmerer (C3-Athletes Serving Athletes) and Joe Dombrowski (Haymarket Bicycles-SEAVS) rode away from the competition to victories at the DCCX cyclocross race, race five in the BikeReg.com MABRAcross series, in Washington, D.C. Both riders had their teammates—and race favorites—face mechanical issues, opening the way to dominating wins. 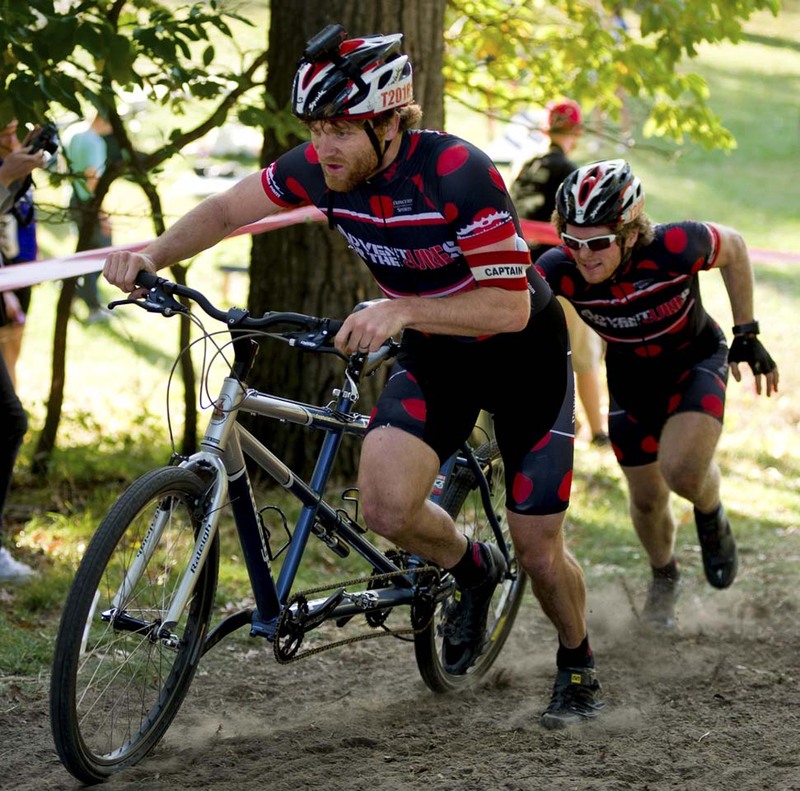 With more than 700 registered riders on a beautiful autumnal day, DCCX exceeded its previous attendance records after DCMTB, the team the organized the race, added new events for single-speeders, tandems and rookies. 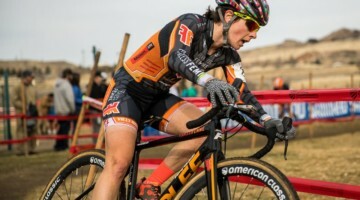 Kemmerer overcame an early-race tumble to work up a minute gap over the rest of the field in the Dogfish Head Alehouse women’s 1/2/3 event with teammate Deidre Winfield. Winfield and Kemmerer traded leads throughout the race, passing riders from lower categories and eyeing each other up for the last sprint. As they came up over the last barriers and run-up, Kemmerer stuck to the right and fought off Winfield for the inside line on the tight downhill leading to the finishing straight. 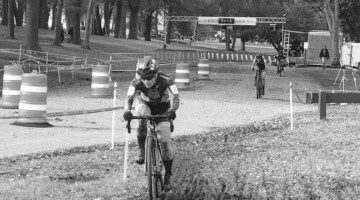 Winfield dropped her chain, and Kemmerer rode away to victory. 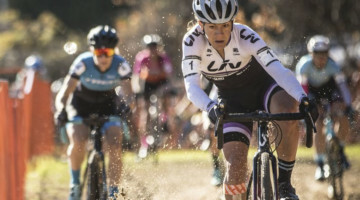 Twenty-four hours earlier, Kemmerer taught a clinic for 40 of the record 79 member women’s field and said she enjoyed seeing her charges out on the course racing. “It was great to see so many women giving it a try,” Kemmerer said. In the Family Bike Shop sponsored Elite Men’s race, Dombrowski’s teammate and MABRAcross series leader Jared Nieters got clipped at the start of the Elite race, sending him to the pavement. 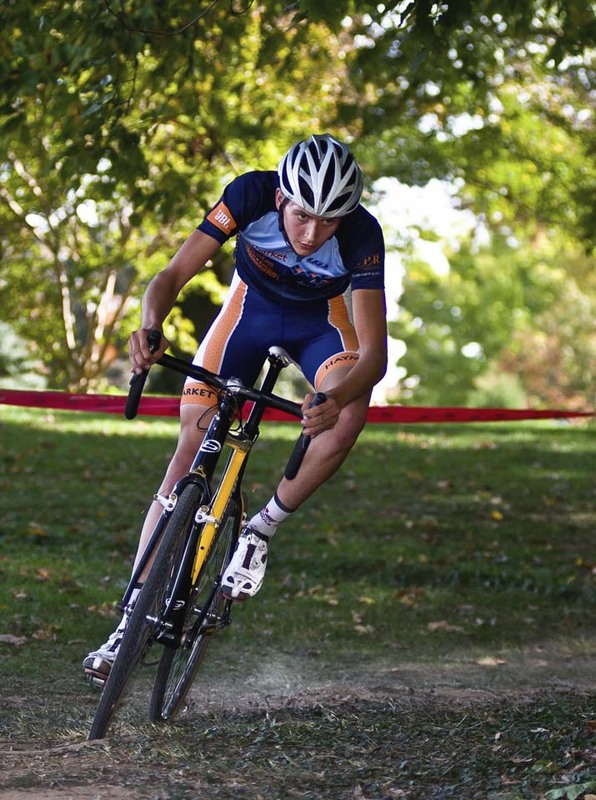 That left teenager Dombrowski, who took second place at last year’s race, alone to ride away from the field. He did so with aplomb, while previous winner, Wes Schempf (C3-Athletes Serving Athletes), stomped the pedals in vain pursuit. Dombrowski built up a big lead, but that was closed as Schempf chased hard. In the end that’s how the race ended, Dombrowski, followed by Schempf and then Olympian Bobby Lea. 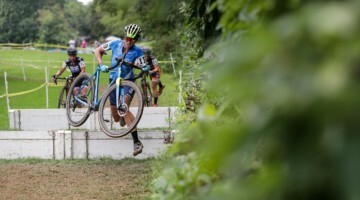 Nieters chased hard through the race but didn’t spend long mourning his loss — he jumped right into the singlespeed race that took off minutes later and won that event. In the Elite Masters Blair Saunders (Ben’s Performance Bikes) made his first appearance at a MABRA cross race this year and showed the field who is boss. He worked up an early lead over a bunch of four chasers, led by series leader Kris Auer (C-3) and held that lead to the finish. Auer finished second to keep the series lead. And in the Men’s 3/4 race DCMTB’s Matt Donahue made an early charge to take the first-lap prime and build a small gap on the field. He couldn’t hold the lead and finished fourth behind winner Andrey Doroshenko (Adventures for the Cure). DCMTB reworked the course for this year’s race, eliminating a long road section and adding in some tight turns in the center of the course. A new set of stairs were added to the fabled run up, allowing for great cheering and heckling from a crowd primed with refreshments from Dogfish Head Alehouse, frites made by DCMTB team members and pancakes from the Dutch Club. 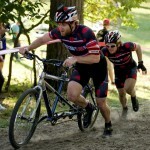 Next up in for the BikeReg.com MABRAcross series is All Hallow’s Cross, which takes place Saturday, October 30, in Hughesville, Md. Registration is open.